Aired on Thursday, June 23rd. Tom Atkinson is our guest today. He is the founder and president of Okie Crude Company, a Tulsa-based energy company. Atkinson is a native Tulsan, a former Air Force officer, a federal prosecutor at the U.S. Department of Justice, and a federal bankruptcy judge in the Northern District of Oklahoma. This is his first attempt at elective office. 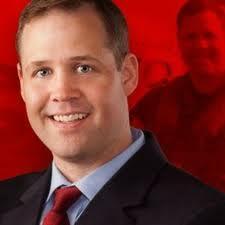 Note: StudioTulsa made numerous offers to Congressman Bridenstine's office for an interview. His office, citing the pressing U.S. House schedule and previously scheduled campaign appearances, declined our requests. On this edition of ST, we offer a discussion with Tulsa Mayor Dewey Bartlett. Mayor Bartlett is running for re-election to a third term as our city's mayor; the election will happen on Tuesday, June 28th. (On tomorrow's StudioTulsa -- that is, Friday the 17th -- we will feature an interview with Tulsa City Councilor G.T. 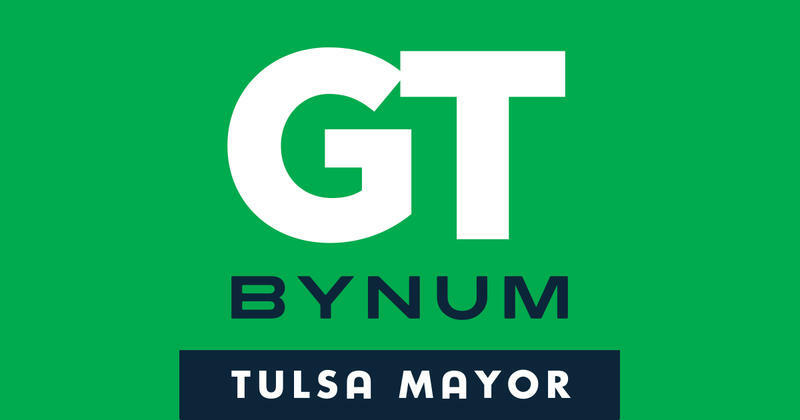 Bynum, who is also running for mayor.) 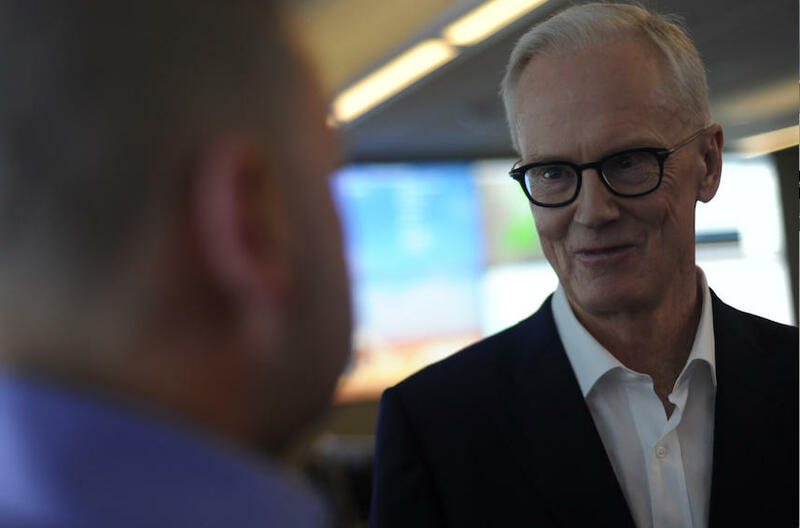 As noted at the Bartlett campaign's website: "Dewey Bartlett has devoted his life to creating jobs, promoting the energy industry, and working on transportation issues. 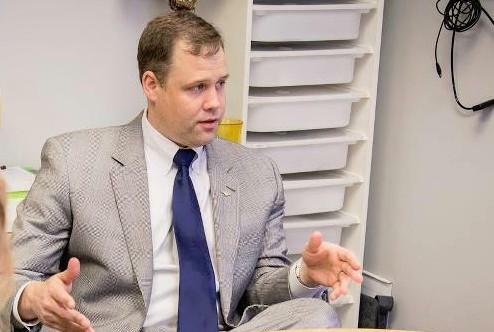 OKLAHOMA CITY (AP) — First term Congressman Jim Bridenstine is among dozens of Oklahoma politicians who won't have to worry too much about launching a political campaign this season. At the end of the three-day filing period on Friday, the 38-year-old Republican from Tulsa was among several candidates who did not draw an opponent in their race. As a result, they will automatically take office after the November elections. OKLAHOMA CITY (AP) — U.S. Representative Jim Bridenstine of Tulsa broke with the majority of his Republican colleagues in Congress and endorsed Representative Daniel Webster of Florida in the race for speaker of the House. Bridenstine joined with a group of 42 other conservatives in Wednesday's vote in the GOP Conference, where 200 of his Republican colleagues nominated Wisconsin Congressman Paul Ryan to serve as speaker. 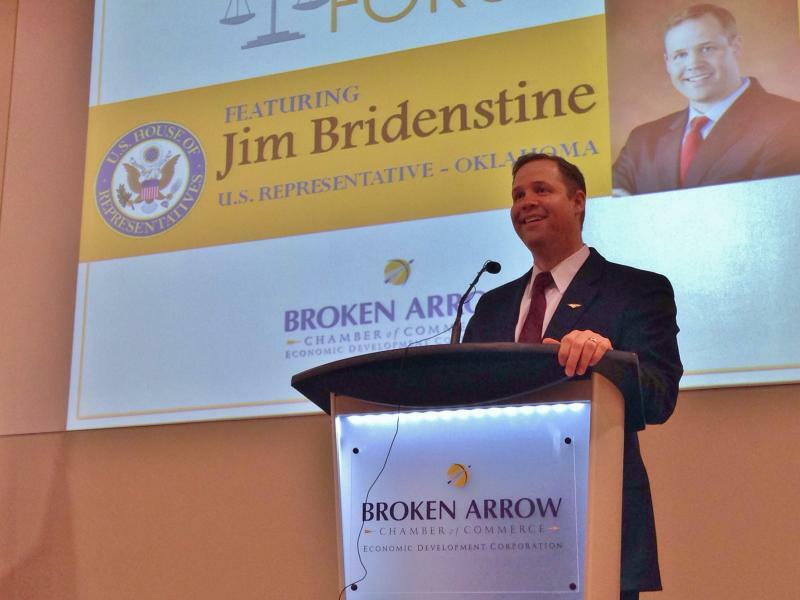 TULSA, Okla. (AP) — U.S. Rep. Jim Bridenstine of Tulsa is hosting an economic forum in his district with former Virginia Gov. Jim Gilmore. The discussion of the state of the U.S. economy will be held Monday at Ti Amo, an Italian restaurant at 61st and Sheridan. A tea party favorite, Bridenstine is a first-term Republican congressman who knocked off established GOP incumbent and former U.S. Rep. John Sullivan in 2012 in Tulsa's 1st District.